To be at Tanglewood for six weeks in 1959 as a student at the Berkshire Music Center was not a bad way to spend a summer between sophomore and junior years of college. The Fromm Foundation had recently instituted its summer program in support of contemporary music; the Lenox Quartet was in residence, along with several other first-rate instrumentalists that included the pianist Paul Jacobs. The composition faculty consisted of Aaron Copland, Leon Kirchner, and Lukas Foss. At age 19 I was the youngest of the seven composers who wound up in Lukas Foss’s class, and certainly the least experienced; the others included recent college graduates (Lita Dubman, Bob Baksa, Alvin Lucier) and two DMAs (Michael Horvit of Boston University, Roger Hannay of Eastman), and Jacques Hétu from Canada. I hadn’t known before that Lukas had been associated with Tanglewood since the 1940s, when he had been Koussevitzky’s assistant and official pianist for the BSO. Lukas met with us occasionally for individual lessons, but the heart and soul of his teaching was in the class with all of us. From the first, he was dissatisfied with our knowledge of the classical repertory and continually prodded us to know and analyze the masterworks. He insisted that whenever possible we should follow the score as we listened, and I have followed that injunction faithfully in all the years since. Thus it was that I got to hear for the first time some of the late Mozart and Beethoven quartets, the Hammerklavier Sonata, Stravinsky’s Mass and Symphonies of Wind Instruments, Bach’s Christmas Oratorio (Lukas inscribed my copy of the score: “Merry Christmas, Mark, and good luck to you and your music”), and much else. He was particularly interested in the idea of different kinds of music going on at the same time, and he chose some memorable examples: the three on-stage orchestras in Don Giovanni, the shattering choral interruptions in the Saint Matthew Passion; the organ grinder versus the music box in Petrushka. He had us compose exercises for class in which two different kinds of melodies would duel against each other. I remember writing a piece in 4/4 overlapping with 6/8 in unequal barlines, played by the available instruments in class: flute (Lita Dubman), oboe (Jacques Hétu), violin (Bob Baksa), and trombone (Michael Horvit); about the best that could be said for this miscellaneous piece was that it satisfied the conditions of the assignment. The first weekend of the Tanglewood season was a Bach festival conducted by Charles Munch. This was when I got to hear Lukas’s superb piano playing for the first time. On Saturday evening, he played five Bach concerti, an unforgettably sparkling occasion, especially the great D minor and the Fifth Brandenburg, as well as the D minor Concerto for three pianos (the other pianists were Seymour Lipkin and Ralph Berkowitz). One Saturday morning, there was an open rehearsal of Copland’s newly-arranged orchestral suite from The Tender Land, Copland conducting. Lukas borrowed Copland’s autograph score — not a photocopy — for us to look at during the rehearsal, and led all seven of us in front of the roped-off section in the Shed so that we could be close to the orchestra. I have a vivid memory of watching the score carefully during the square-dance music, and I saw that the off-beats in the snare drum part were being heavily accented. I pointed out that the accents weren’t indicated in the score, whereupon to my shocked amazement Lukas took out his red ballpoint pen and wrote the accents into Copland’s autograph. I mention this for the benefit of documentary experts who may be puzzled to find an alien hand in the composer’s manuscript, though every musicologist knows that such things happen all the time. Lukas himself conducted the Boston Symphony at one concert, with his own recently-completed Symphony of Chorales, a piece I liked but have never heard since; I don’t know even if it has been published or recorded. He also talked about a piece he was working on, a concerto for improvising instruments and orchestra; I don’t know if he finished it, but he had a group that he founded in California, the Improvisation Chamber Ensemble (clarinet, cello, piano and percussion), and this group eventually created the improvised interludes in Time Cycle as well as the partly aleatoric Echoi for which Lukas wrote precisely-notated but freely-assembled fragments. In December of that year Lukas played first piano (the other three were played by Copland, Samuel Barber, and Roger Sessions) in a performance at Town Hall of Stravinsky’s Les Noces, with Stravinsky conducting. Several of us Tanglewood alumni were there, and I had a fourth-row seat. Afterwards we hurried backstage to greet our master. (Standing on the narrow platform outside the green room, I almost knocked someone off the stairs; only years later did I realize that the tall gentleman had been Rudolf Serkin.) A recording appeared later; Lukas, playing first, was clearly the best pianist. 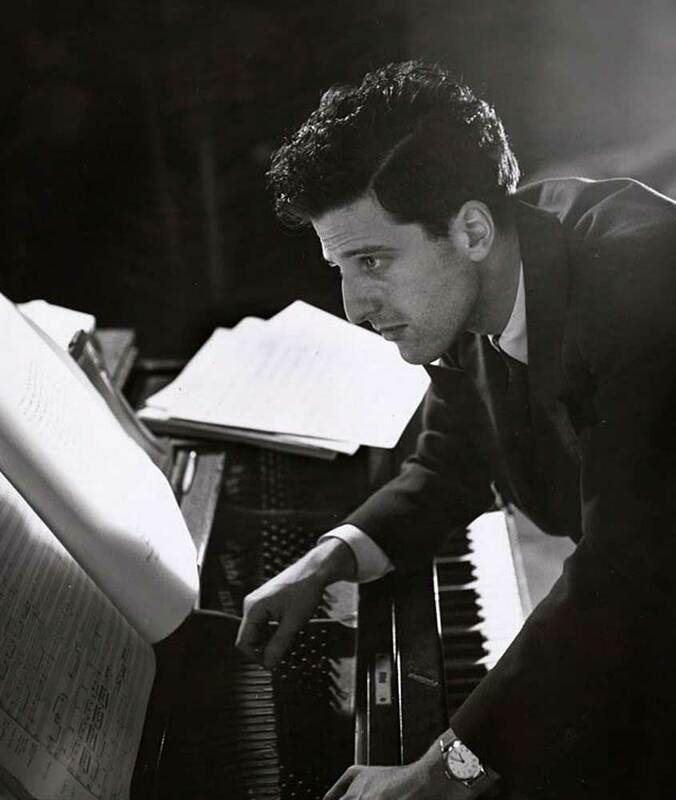 This was brought home even more in the 1977 recording of Bernstein’s Age of Anxiety, in which Lukas’s vivid performance with the Israel Philharmonic is faithfully captured. Where I never had any doubts at all about the direction, and the success, of Lukas’s art was in Time Cycle in 1961, four songs for soprano and orchestra on texts by Auden, Housman, Kafka and Nietzsche, with improvised interludes by the Improvisation Chamber Ensemble. This work was justly recognized even at the time as a first-rate achievement. I heard Lukas conduct Time Cycle with the BSO in Symphony Hall and a year later at Tanglewood, with Adele Addison, who commissioned it. The orchestral proportions were perfect, the vocal writing both graceful and grateful, and the overall imagination of the highest order. There were some technical devices that were radical enough in 1961: notes fingered by a full section of strings but neither plucked nor bowed (virtually inaudible when just one player does it, but clear enough and subtly quiet within an entire section); pressure accents in tied notes for the woodwinds; and most startling, the striking of the hours, from one to midnight, whispered aloud by members of the orchestra in the final song (from Nietzsche’s Zarathustra; Mahler uses the same text in the fourth movement of his Third Symphony, but without the announcement of the hours). In that deeply expressive song, two flutes and two solo violins are situated far back on stage, in the corners, playing an ineffably sad refrain, until, simultaneous with the 12th and final hour, the widely-spaced strings strike and sustain a dominant seventh chord to the end, an amazing sound in this apocalyptic context. Time Cycle is a genuine international masterpiece, as fine a musical work as the second half of the 20th century has produced. It was honored with a New York Critics Circle Award in 1961. My copy of the re-mastered recording on CD of Time Cycle has 158 portrait photographs of Leonard Bernstein, who conducted the premiere, but no pictures of Lukas. Enjoyed your vivid recollections of our time at Tanglewood with Foss. Sad to say I remembered little of it. Foss was so hyper and gung ho to “push the envelope” that it was a big turn off for me. I worked my way through college playing piano an Jazz bands so I am no stranger to the idea of improvised music. But as a composer I continue to be committed to composing the notes that I mean to put down. Improvisation can be interesting and sometimes exciting. but if you come upon something wonderful it’s an accident and not because of your inate skill. In that case why bother to learn anything? You called yourself the least experienced of the composers in our group but that may have been me…at least in terms of being in an environment peopled with well known musicians from the East Coast. That was new to me and it was intimidating…especially since I sensed a certain pressure to write what they thought I should be writing rather than what I wanted to write. Aside from Roger, now passed on, and yourself I have lost touch with all the others in our group. Mark- Thank you so much for that wonderful Remembrance of Lukas at Tanglewood during the summer of 1959! I vividly remember every anecdotal detail you recall in this piece, and every one of my fellow students in that memorable class! (Did you happen to catch that photo of our class in the NY Times ten years ago, when they ran a story on Copland’s 100th Birthday?) I did not know about Roger’s passing, but noted with sorrow the recent passing of the delightful Jacques Hetu from Quebec. I went on to study with Lukas at UCLA where I earned a Masters Degree, before abandoning composition for some 30 years, until serialism had run its course and it was once again safe for a tonalist to call herself a composer. — Albeit my musical sensibilities had surely expanded under his influence. And when I decided to test the waters with a return to composition, he was very encouraging, and generous in critiquing the orchestration of my Flute Concerto. But I am still playing catch-up as an orchestrator, and, like you, also ruing his advice, not taken, to follow the score whenever possible when listening! Amazingly, after a hiatus of such length, this has been my “break out” season, with the release of three albums, one of which, produced by Cedille Records in Chicago, and issued last August, is completely devoted to my vocal music. I was so sorry I was never able to send it to him. But thank you for revisiting that magical summer of our youth, when we were privileged to work with this amazing musician, whose music and influence will remain with me and , I’m sure, with the hundreds of students he mentored during his lifetime, as well as with music lovers who recognize genius when they hear it.